Java program to convert list to set. HashSet having a constructor which will take list as an argument. Lets see how to convert list to Set using java program. #1: Java Example Program to Convert List to Set. 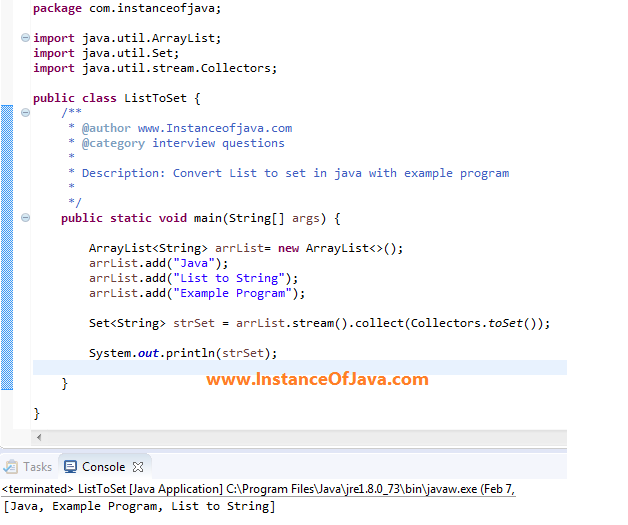 #2: Java Example program to convert List to Set using java 8.